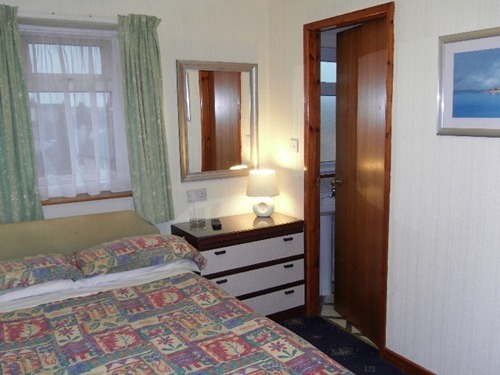 Grampian House is a small, friendly, gay-owned and run guest house offering quality en-suite B&B accommodation. 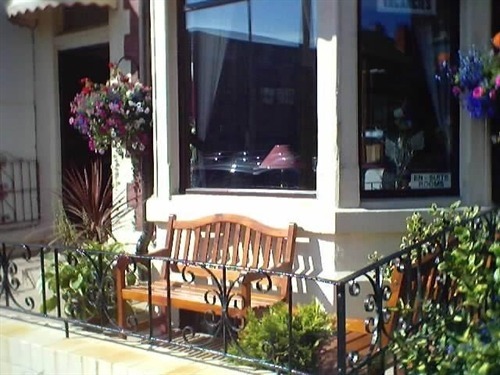 It is situated in Blackpool's gay quarter, close to all gay venues. The Railway Station is a five-minute walk and the Promenade just 50 metres away. The North Pier, Blackpool Tower and the Town Centre, with its Theatres, Restaurants and other attractions, are all within a ten-minute walk. Free high-speed broadband (200 Mbps), smoking rooms and late breakfast (11 am) available. Comprising: one double bed (122 cm); en-suite bathroom (shower, WC & wash basin); Freeview digital TV/radio; complimentary tea & coffee making facilities; central heating. Situated on first or second floors. 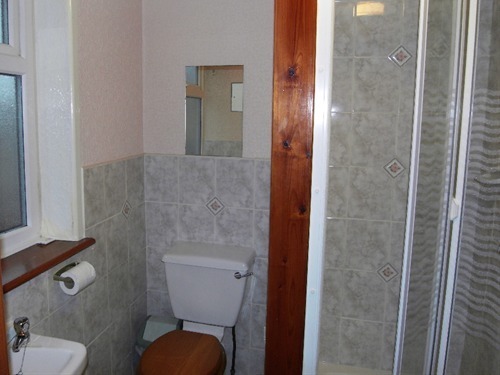 Serviced daily and fresh towels provided as and when required. Continental style breakfast is included in the price. Click *BOOK ON-LINE* button, above, to check availability and for current special offers and short break discounts. Comprising: two single beds (90 cm); en-suite bathroom (shower, WC & wash basin); Freeview digital TV/radio; complimentary tea & coffee making facilities; central heating. Situated on first or second floors. Serviced daily and fresh towels provided as and when required. Continental style breakfast is included in the price. Click *BOOK ON-LINE* button, above, to check availability and for current special offers and short break discounts. 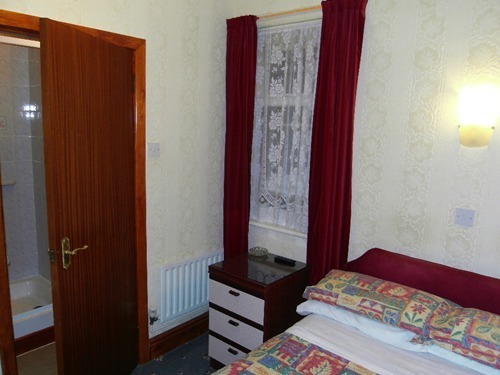 Comprising: one double bed (122 cm) and one single bed (90 cm); en-suite bathroom (shower, WC & wash basin); Freeview digital TV/radio; complimentary tea & coffee making facilities; central heating. Situated on first floor. Serviced daily and fresh towels provided as and when required. Continental style breakfast is included in the price. Click *BOOK ON-LINE* button, above, to check availability and for current special offers and short break discounts. 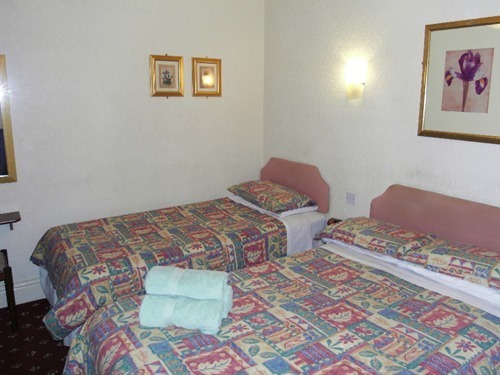 FACILITIES: • All rooms are centrally heated with en-suite bathroom (shower, toilet and hand basin). 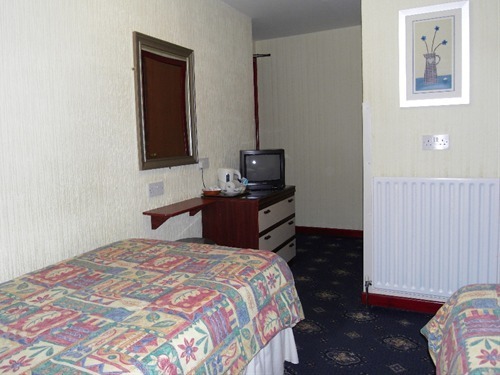 • Freeview flat screen television and radio, and complementary refreshment tray in all rooms.  • A free broadband internet connection (200 Mbps) is available either by a computer in the lounge or by WiFi from anywhere in the hotel.  • Smoking is permitted in designated smoking bedrooms. (Please note that, under current legislation, smoking is allowed only in designated smoking rooms.) • Limited, free street parking is available and there is a long-stay car park nearby. • Ironing facilities are available. • Luggage storage is available for early arrivals and late departures. • Grampian House is not licensed but glasses, ice, etc. can be provided if you wish to provide your own drinks. 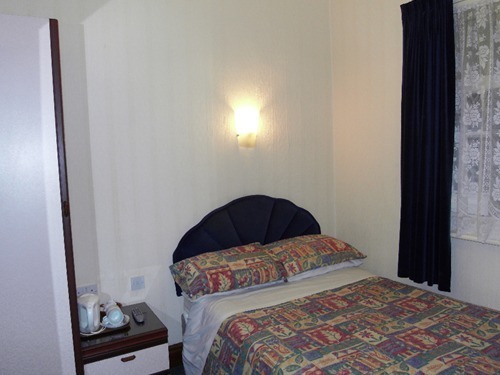 LOCATION: Grampian House is situated in the gay quarter in the quieter North Shore area of Blackpool and is ideally placed to get out and about and explore the area or further afield. On the promenade there is a frequent tram service to take you south to the famous Pleasure Beach or north to Bispham, Cleveleys, Fleetwood and the Freeport Shopping Village. Take a short walk into the town centre where you can visit Blackpool's major attractions, such as the famous Blackpool Tower, the Sealife Centre, MadameTussaud's Waxworks and the Winter Gardens, or jump on the "The Resort Hopper" bus to Blackpool Zoo, the Model Village or Stanley Park. For evening entertainment there are plenty of restaurants within easy walking distance, and all the gay bars and clubs, including the renowned Funny Girls show bar and Flamingo night club, are only a couple of minutes away. Bookings can be cancelled up to 2 day(s) before 21:00 on the day of check in free of charge. Bookings cancelled less than 2 day(s) before 21:00 on the day of check in will incur a charge of 100% of the booking total. If you need to cancel or make changes to this reservation, please contact Grampian House on: reception@grampianhouse.com, 01253 291648 or by clicking on the link in your confirmation email. ARRIVAL & DEPARTURE: • Check-in is between 14:00 hrs and 21:00 hrs. (Check-in outside this period by prior arrangement only.) • Checkout is 11:30 hrs. BREAKFAST: • Continental style breakfast (orange juice, cereals, toast & preserves, tea or coffee) is included in the price and is served in the dining room between 9:00 and 11:00 am. • Traditional or vegetarian English breakfast (served between 9:00 and 9:30 am) is available for a supplement of £2 per person per day - payable on arrival. Please note: On Christmas Day and New Year's Day breakfast times are 10:00 to 12:00 (continental style) and 10:00 to 10:30 (cooked breakfast). PAYMENT: • Any outstanding balance is payable on arrival. • Preferred method of payment is by cash or credit/debit card. Cheques will only be accepted if received ten days prior to arrival. • No refunds can be given for meals not taken or early departure. PLEASE NOTE: • Bookings for stag or hen parties are not accepted. • Children under 13 years are not accepted. • Only small groups are accepted (max 6 people) • Pets are not permitted on the premises.